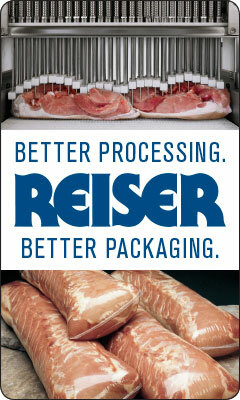 What are the options for smoke application to processed meats? Do natural sources of sodium nitrite deliver as-good-or-better antimicrobial efficacy over synthetic sources? PMMI Exclusive: Ready for automation — If it still works, Is food ready to change? Does electrical stimulation make sense for beef slaughter facilities? Poultry Basics: Water and air chilling -- Which is better for your needs? Knife science: What are the newest technologies for food safety, worker safety, efficacy in this most basic of equipment? Sustainable packaging: Is it right for your product? Forming poultry: To slice or to press?